Once a hotspot of pirates, the Lundy island is the largest on the Bristol Channel. Located 12 miles off the coast of Devon, Lundy promises a scenery almost as dramatic as its history. To remain safe from the fast-flowing Severn river and the high tides of Bristol Channel, ships had to navigate pretty close to the Lundy island. The pirates took this as an opportunity to capture and lay siege to ships – especially merchant – passing by. This went on well into the early 18th century! Today the island offers everything from a wildlife walk to puffin bird watching to adoring the granite cliff formations from up close. This one is a sure shot way to make your UK holiday memorable. Get here. How far will you go for that morning coffee? Well, no matter, how far you are willing to go, the Attendant Cafe in the Fitzrovia, central London is here to push that bar even higher. Green stools facing a line of urinals-turned-table are the first thing you see when you walk in. 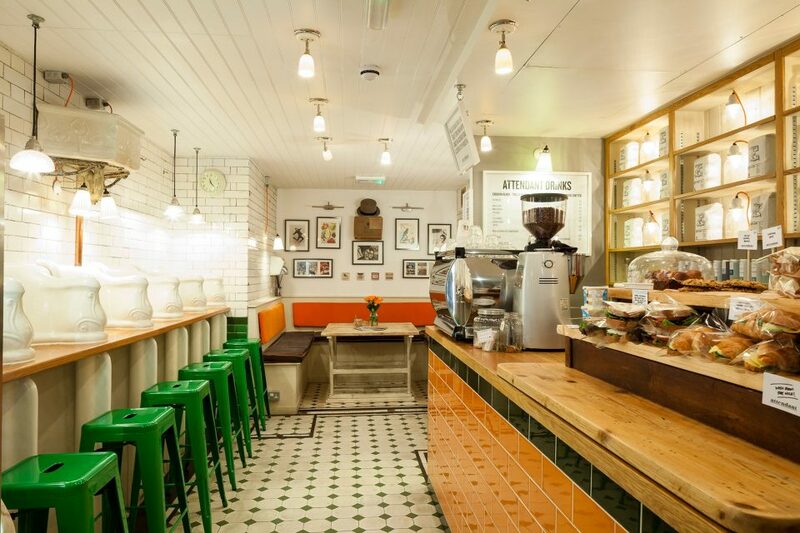 This a Victorian toilet turned cafe – talk about transformation – that whips some of the freshest brews in the city – straight from the Attendant Roastery. The list of treats you are in for! Love him or hate him, Isaac Newton introduced to the world the concept of gravity. And the resulting laws of gravity – not the most favourite among students around the world. The tree under which Newton had this epiphany is still alive. 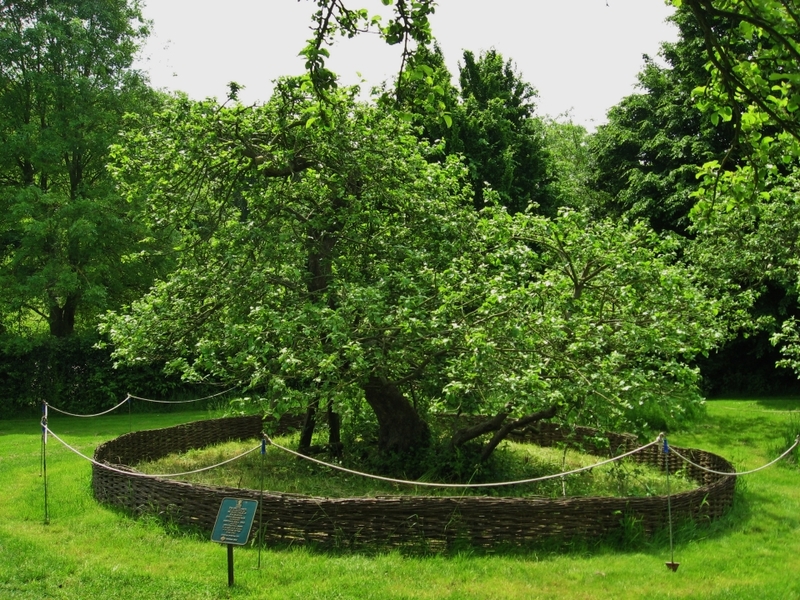 Located among the trees in Woolsthorpe Manor’s orchard, is the old apple tree also referred to as the gravity tree. Wish you could overthink your way to a discovering something? We hear you. Experience history with this essential must-see from the unique things to do in UK. For those who love and cherish anything bizarre, this is a must do from the list of unique things to do in UK. 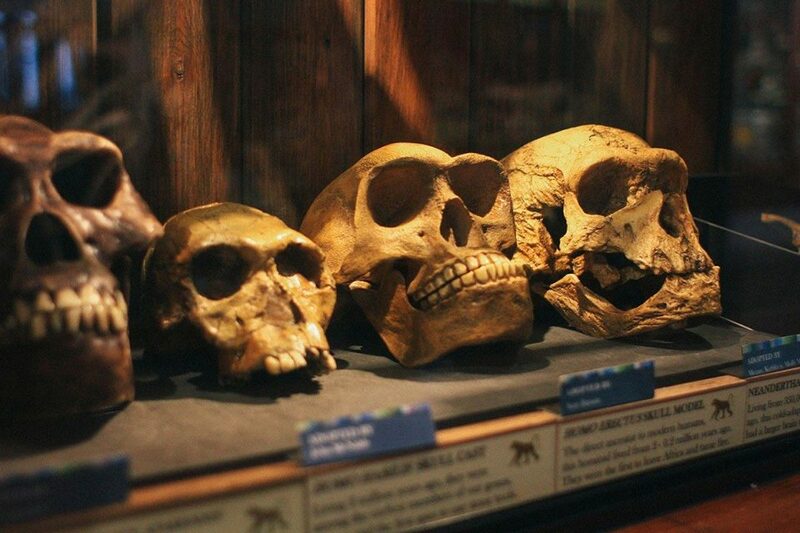 Part of the University College London, the Grant Museum of Zoology and Comparative Anatomy is a natural history museum that hosts everything from a collection of brains to the assembled bones of the extinct bird, Dodo. History buff or not, some of the collections here originating all the way from Australia to the Americas to Africa, are jaw-dropping. Pay your dues. The vibrant blue house door number 45 on the Melbourne Grove in East Dulwich is like no other house you’d have ever seen. Decked with everything from mosaic tiles to doll heads to wall-text, the House of Dreams gives life to its own name. Initiated by former textile designer and art director Stephen Wright, he aimed to cover every surface inside and outside the house with found objects and memory boards. Now it stands in Dulwich as the House of Dreams Museum challenging every visitor’s idea of creativity. Wish you hadn’t stopped your child from doodling on the walls, don’t you? 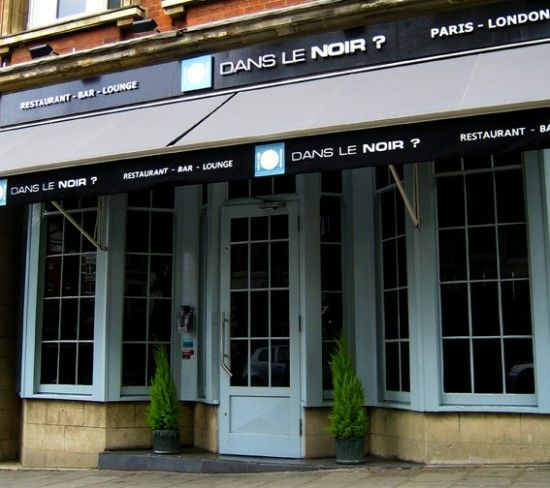 Founded in Paris back in the year 2004, Dans le Noir occupies prime space in the London dining scene. The guests are introduced to the concept of dark dining that involves serving people in complete darkness to not only accentuate other senses but also boost relationships between diners. Serving a slew of entrées, appetizers, desserts, and wine inspired by the French cuisine, Dans le Noir hires visually impaired waitstaff to serve the diners. When you are running out of places to eat on your UK holiday this one place you must check out! Been in a pub that was as drunk as you? Well, there is always a first time. 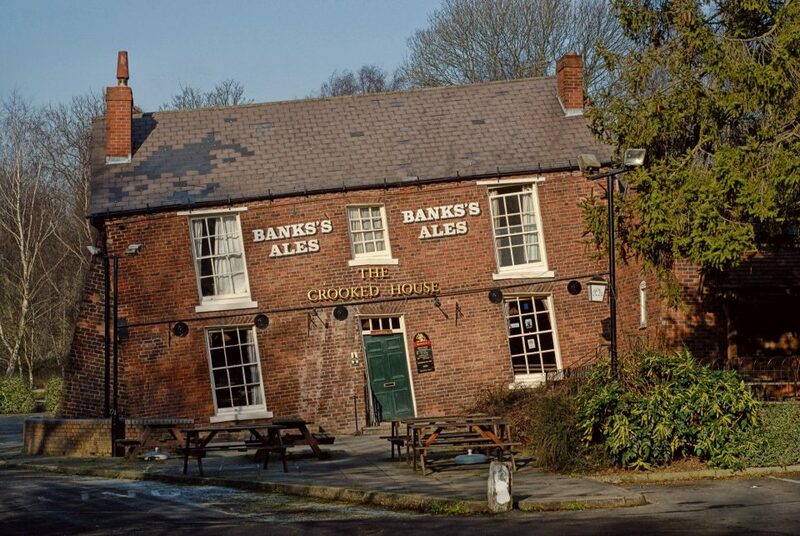 Welcome to the Crooked House – a pub and restaurant in South Staffordshire, England. Originally built as a farmhouse in 1765, the house began to sink thanks to the mining activity nearby. 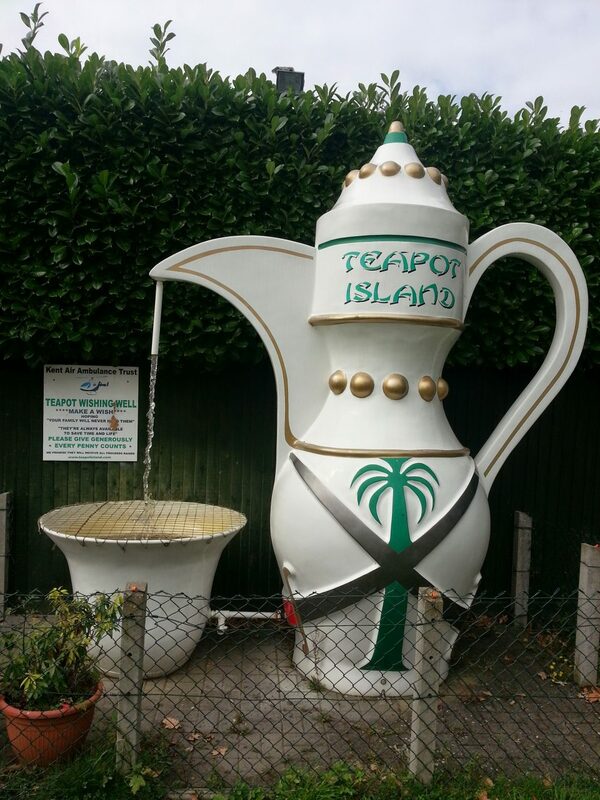 If you thought the British’s obsession with tea wasn’t real, the Teapot Island is where you need to head. A museum in Kent, it hosts the personal collection of teapots of one Miss Sue Blazye. Starting off as a small cafe in the 1950s, today Teapot Island has an extensive menu of scones, cream teas and homemade jam. The collection of teapots – everything from Darth Vader to the Dalek – is worth checking out. Visit them. Fancy the charm of Cinque Terre while in the United Kingdom? Just head over to the village Portmeirion in the northern part of Wales. Designed and created by the architect Clough Williams-Ellis, the village boasts of scenic surroundings, woodland gardens and iconic architecture and buildings painted in vibrant shades. 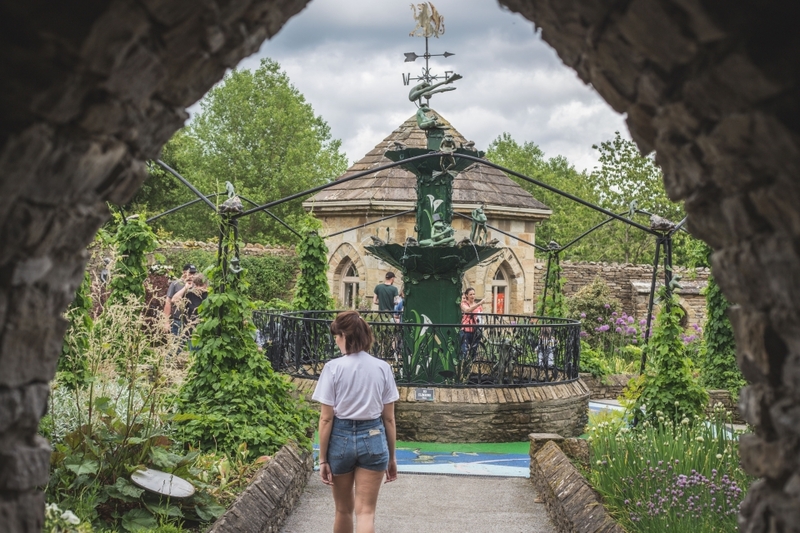 Built in the 1980s, the Forbidden Corner is a collection of labyrinths, tunnels, chambers, follies and surprises created in a 4 acre garden in the heart of Tupgill Park. Featuring things like translucent glass pyramid, extraordinary statues and passages that lead nowhere; the Forbidden Corner opened to the public after the creator C.R.Armstrong caved into the pressure from them. 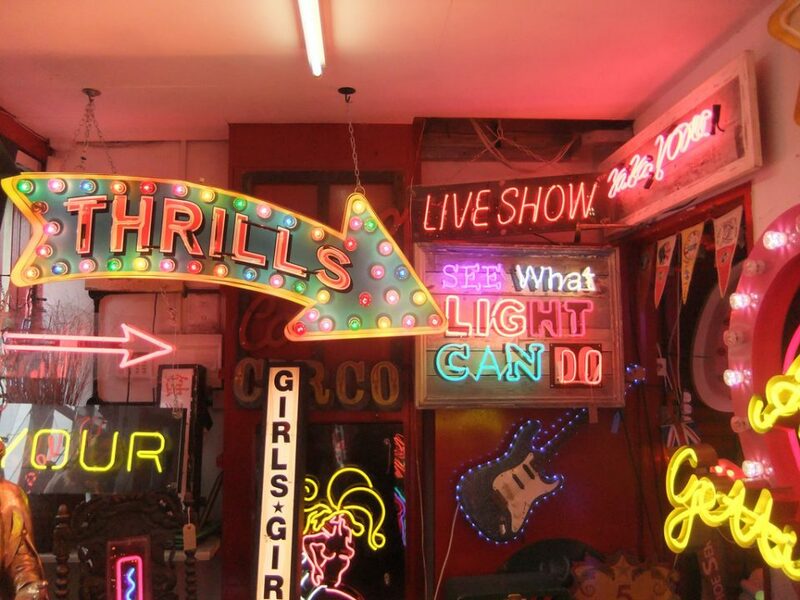 Curated by the neon artist Marcus Bracey, this is a warehouse of all possible neon signs you could come across on the road. Located in the industrial district of Walthamstow, God’s Own Backyard gives life and colour like no place else. Hung from ceilings, stacked on the floor – there are signs for everything from hotel names to pinball joints. This is the kind of junk-in-the-trunk you must visit on your UK holiday. Join the crazy village of Brockworth as they chase a wheel of Double Gloucester Cheese on the last Monday of May as a part of the Gloucestershire Cheese Rolling Festival. Which one of these unique things to do in UK made it to your wishlist? Let us know in the comments.